If looking for a 6 day safari in Tanzania then that is just about the right time you should be spending on a wildlife safari tour in Tanzania. 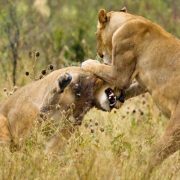 One could do a shorter safari in Tanzania if short time or if on a tight budget but a 6 days Tanzania safari would be a wildlife safari of recommended length if you have that availability in time and budget. 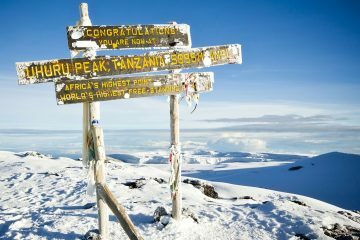 6 Days Safari Tanzania, where to visit? 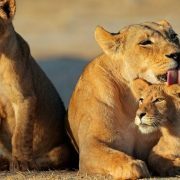 The six day safari tour in Tanzania is firstly great because it includes all the highlights of a wildlife safari in Northern Tanzania, including a visit to Tarangire National Park, The Serengeti National Park, The Ngorongoro Crater as well as the smaller but beautiful Lake Manyara National Park. This offers you a great opportunity to spot a lot of animals in their natural settings but also a great chance to spot the Big Five in what we can confidently term as a ‘Big 5 Safari in Tanzania’. For the bird watchers this is also a great package because all the parks are great places to spot birds and Lake Manyara national Park can be picked as one of the birding hot spots in East Africa if not in Africa at large. Accommodation during this 6 days Tanzania tour is scheduled at some nice hand picked midrange to Semi-luxury lodges and tented camps ( comfort level), all of them clean, safe and with great food and friendly staff, but you can also be offered the same 6 day Tanzania safari package while staying at cheaper mid-range places where available or even in upgraded standard luxury lodging, or the top market / high end lodges and tented camps depending on where you prefer to stay and your budget. 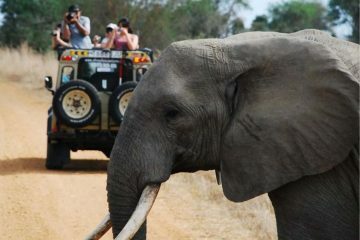 The same 6 days package can be customized with Zanzibar beach extension just like our Tanzania safari Zanzibar packages. 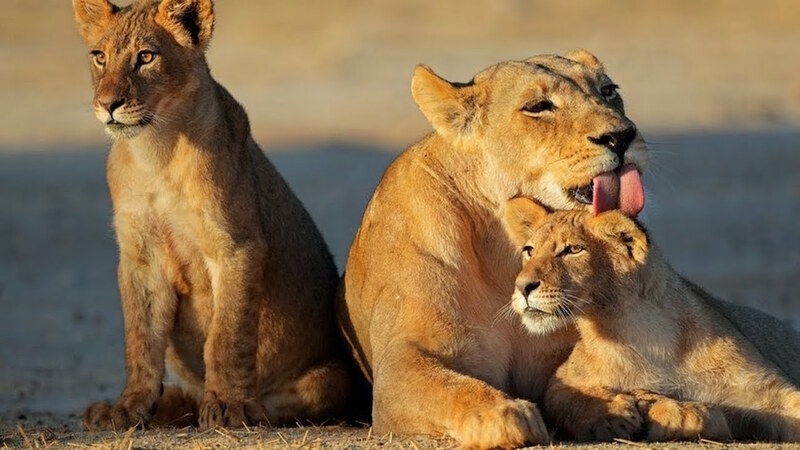 During this 6 days wildlife safari adventure in Tanzania you expect to see a lot of animals and birds because it covers all the famous highlights of Northern Tanzania Safari. Lake Manyara National Park will offer you a chance to see a lot of birds including the colorful flamingos and other aquatic birds and non aquatic species alike but also the legendary tree climbing lions, large elephants herds, troupes of baboons and monkeys, antelopes like dik diks, impalas, as well as other larger game like giraffes, zebras etc..
Tarangire National Park is the home to the large baobabs and largest elephant herds in Africa as well as rare species of animals and bird like oryxes and Ashy Starlings as well as the long-necked gerenuks. Ngorongoro Crater and the Serengeti National Park need no introduction in what they have to offer in terms of large and small game animals and with a little luck you might spot the Big 5 during your visit to these two big safari destinations in Africa. 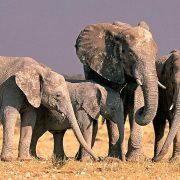 Ask our experts for more information on your 6 days Tanzania Safari. This first day of your 6-day wildlife safari in Tanzania you will be picked up from your hotel in Arusha, Tanzania (or from the Kilimanjaro International Airport at a transfer charge), then you will drive across the Masai Steppe towards the floor of the Great Rift Valley where you will register at the park’s gate to enter Lake Manyara National Park. Spend the day at Lake Manyara National Park; a little lush green beautiful gem of a park which is home to the legendary tree climbing lions and flamingoes at the lake. At the lake you too can spot the hippos and a lot of aquatic birds that can be spotted from the shores of Lake Victoria. 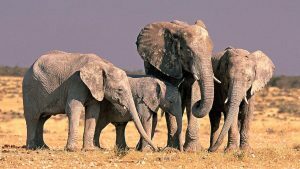 Other animals include, zebras, giraffes, warthogs, dik-diks, herds of elephants and troupes of baboons among many other animals. With picnic lunch served at one of the picnic sites in the park you will do game drives until later in the afternoon around 06.00 Pm when you will drive out and head up the Rift Valley Escarpment walls with stunning views below on your way to Karatu in the Ngorongoro Highlands where you will check in at a lodge for dinner and overnight. 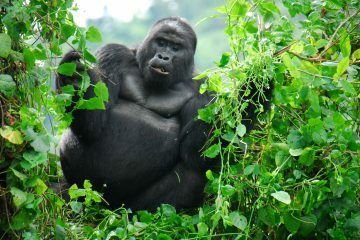 Overnight at Country Lodge or Marera Valley Lodge or Bougainvillea Safari Lodge or similar. Picnic lunch and dinner included. Karatu – Serengeti National Park. Breakfast at your lodge then you will be picked up by your guide and head to the Serengeti National Park, crossing the Ngorongoro Conservation area with a chance to visit a Masai Boma (village) or make a detour to the Oldupai Gorge; an Archaeological site where Dr Mary & Louis Leakey made discoveries of the more than 1.5 million year old fossils of a hominid they named Paranthropus boisei / Australopithecus Boisei (the Nut-Cracker man). These can be arranged at a small extra cost. You arrive Serengeti and enter the legendary park via Naabi Hill Gate then start on the game drives right on arrival towards Central Serengeti National Park. 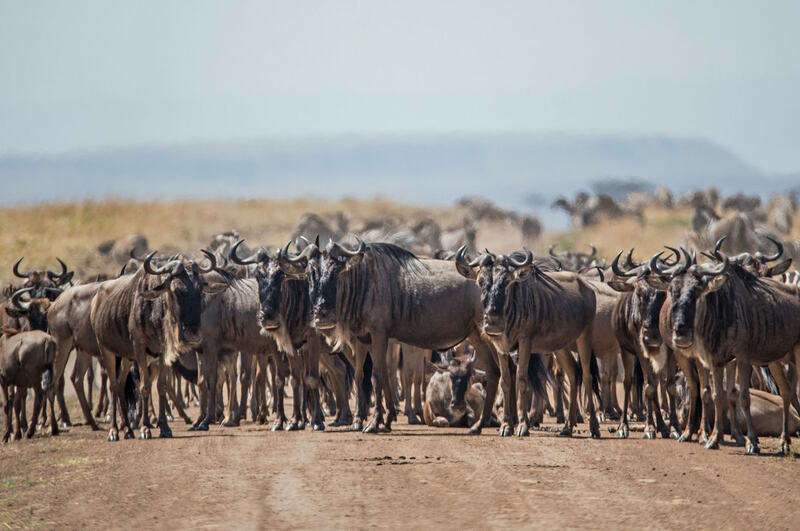 Depending on the location of the wildebeests herds and location of most animals your professional safari guide will lead you to the best wildlife spotting spots for the rest of the afternoon until later in the afternoon when you will check in at a camp or lodge for dinner and overnight. Overnight at Thorntree Camp. All meals included. Breakfast at your lodge then you will be picked up by your guide and head to the Serengeti National Park, crossing the Ngorongoro Conservation area with a chance to visit a Masai Boma (village) or make a detour to the Oldupai Gorge; an Archaeological site where Dr Mary & Louis Leakey made discoveries of the more than 1.5 million year old fossils of a hominid they named Paranthropus boisei / Australopithecus Boisei (the Nutcracker man). These can be arranged at a small extra cost. You arrive Serengeti and enter the legendary park via Naabi Hill Gate then start on the game drives right on arrival towards Central Serengeti National Park. 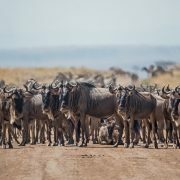 Depending on the location of the wildebeests herds and location of most animals your professional safari guide will lead you to the best wildlife spotting spots for the rest of the afternoon until later in the afternoon when you will check in at a camp or lodge for dinner and overnight. Overnight at Thorntree Camp. All meals included. On this day after breakfast at your camp you will check out and drive back towards Naabi Hill Gate where you will make a brief stop to stretch your legs as your guide goes through the paperwork for you to re-access the Ngorongoro Conservation Area. You will then head straight to the floor of the Ngorongoro Crater which is the world’s largest unbroken caldera and a natural zoo of its kind. Spend the day doing game drives in the 21 Km wide Caldera which is home to thousands of animals and birds. The Ngorongoro Crater is a small area where you will get to see animals at very close range and with a little bit of luck you can easily spot all the Big 5 in one day. Animals that can be spotted in the Crater floor includes elephants, lions, leopards, black rhinos, buffaloes, dazzles of zebras, hartebeests, wildebeests, silver backed jackals, cheetahs and many other more. Later in the late afternoon you will leave the Crater floor and drive back to the rim for dinner and overnight. Overnight at Rhino Lodge in the NCAA or Marera Valley Lodge or Country Lodge or Bougainvillea Safari Lodge at Karatu nearby. All meals included. Breakfast at your lodge in the Ngorongoro Highlands then you will check out and descend down the walls of the Great Rift Valley towards Tarangire National Park arriving by mid-morning. After registering at the park’s gate you will start on the game drives right from the park’s gate as you drive towards Tarangire River a river that ensures constant water supply to the animals all year round making the banks a great area to do game viewing. Tarangire National Park harbors the largest elephant populations in the world so the best place to see the jumbos, but it is a park where you can see a lot other animals almost similar to the plains of the Serengeti National Park. Animals migrate between Manyara and this park as well as neighboring plains outside the park like the Silalei plains making the park a great wildlife viewing park. The park is also well known for rare birds and animals species. Rare birds including the ashy starlings can be spotted here while rare animals like the gerenuks and the beisa oryxes also can be spotted in this park. Later in the afternoon you will check in at a camp / lodge inside the park or at the concession areas bordering the park. Overnight at Sangaiwe Tented Lodge. All meals included. Early breakfast then you will check out and enter the Tarangire National Park for another day of game drives in the park until time to drive back to Arusha where your safari ends. Depending on your plans and schedule you can spend the day at Tarangire until later in the afternoon because it is a 2 hours drive distance back to Arusha. At a small fee you can be dropped at Kilimanjaro International Airport for your departure if departing on the last day or you may also be dropped at Arusha Domestic Airport if going to Zanzibar for a beach extension. End of your 6-Day Tanzania Safari. Children Prices depend on Age of the child and they share rooms with adults or other children.